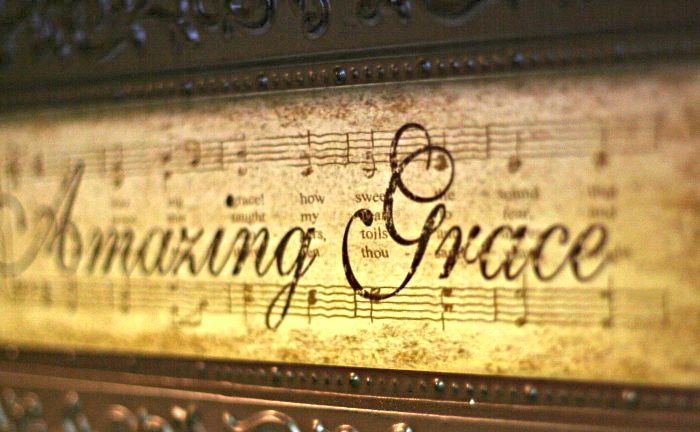 I can come up with the theological definition of grace fairly easy but it is much harder to understand this amazing concept. 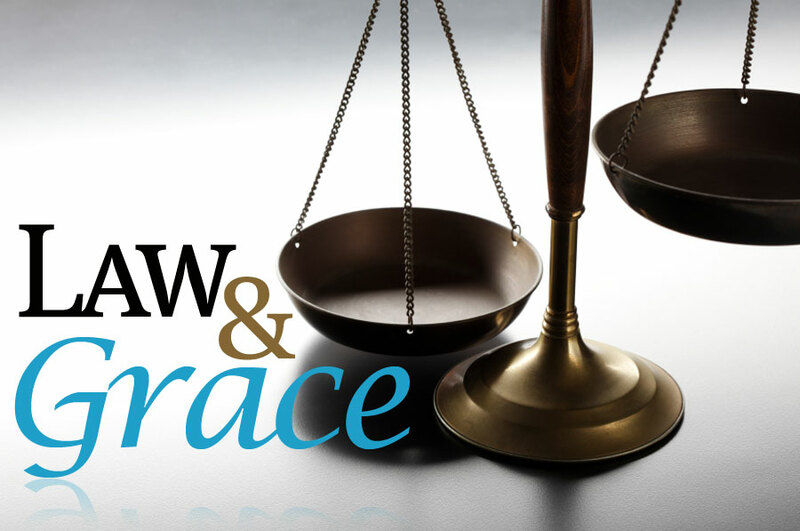 Grace is defined as “the freely given, unmerited favor and love of God.” I have, in my mind, placed grace as that which most represented Jesus’ ministry and the law was more relegated to Old Testament teachings. I am familiar with the scripture that Jesus spoke in Matthew 5:17 where He didn’t “come to abolish them but to fulfill them.” But in my mind I have often put grace and the Law in opposition of each other. Much in the same way as I saw the Pharisee’s as the upholders of the law and Jesus as the advocate for grace. One of the best teachings on this concept is in Luke 15. I had never realized that when Jesus told this parable He speaks of “a” parable (singular) and then goes on to talk of the lost sheep, the lost coin, and the prodigal son. All 3 accounts have 5 similarities. Something of value is lost (a sheep, a coin, and a lost son), a search is made for the lost item, something of value is found, a great celebration occurs as a result, and Jesus tells of the spiritual application. Jesus cares about the lost! Why would he say in Luke 15:7 “there will be more joy in heaven over one sinner who repents than over ninety-nine righteous persons who need no repentance” if He didn’t value a sinner being found? The most famous of the three part parable is the Prodigal Son. Here, the youngest son goes to the father asking for his share of the inheritance. The father gives him his inheritance; the son goes off to a foreign land and squanders the inheritance on what appears to be a sinful lifestyle. The son finds himself desolate and as a result hires himself out to feed the pigs in the field, wishing he could eat the pods meant for the pigs. He realizes that even his father’s servants are better off than he. He decides to return to his father and ask to be taken in as a servant. The father sees him from a distance and runs to him, embraces and kisses him. The son says to the father “I have sinned against heaven and before you. I am no longer worthy to be called your son.” Here is where we see one of the greatest displays of grace. There are so many things going on in this culture that would have made this story unbelievable to those listening. What the son did would have been so shameful in this culture that there would have been a case to ban him from ever returning to even stoning him for his disrespecting his father in that way. The father did neither of these but instead lavishes the son with his ring (a sign of being reconciled into the family), the best robe (that would have been the father’s), and calls to kill the fattened calf and throw a party to celebrate the son’s return. This is where Jesus brings a teaching moment that is easily missed. The reaction by the older brother is a lesson in itself. The older brother is angry at the way the father received his younger son to the point that “he refused to go in.” I have missed this next lesson in my many times reading this but when the father is trying to reason with the eldest son the son says in Luke 15:29 “look, these many years I have served you, and I never disobeyed your command, yet you never gave me a young goat, that I might celebrate with my friends.” The eldest son believes that he performed his duties and that he should receive what he has coming. There are 2 sinners in this parable that need the father’s grace. 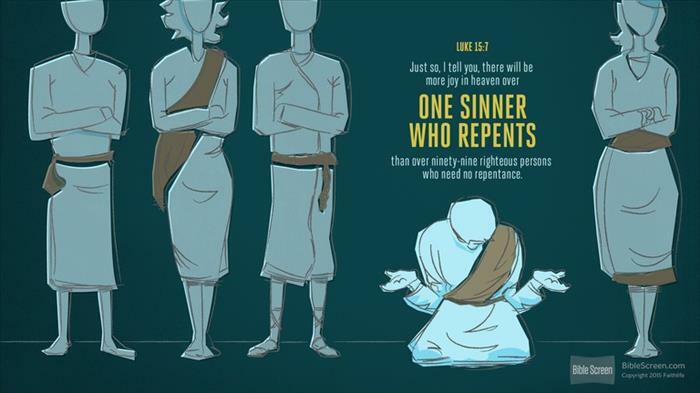 The first is the youngest son who recognized his need for repentance and returned humbly not expecting what he got. I believe in his own way he was still trying to “earn” his way back into good standing with the father. The second may be harder to see because in his view he did everything right and should already have it “coming”. I believe at some point in my life I have represented both sons. I have lived the “religious” life and felt that I did my part so now God needs to do His. It doesn’t work that way. We all are sinners and fall short of the glory of God and our works are like filthy rags in His eyes. But how many of us have viewed ourselves righteous by our efforts and therefore don’t humbly approach the throne? I worry about those more than I do the broken because they can go their whole life not knowing how depraved they really are. Grace takes place in that even though there is nothing we can do to earn His favor, He desires more than anything to reconcile us to the Father. So much so that He gave His only Son. He loves me that much. It should be that out of the desire to know Him better and walk closer to Him that my behavior starts to change. That is sanctification. Wanting to grow in my relationship to Christ and allowing my life to be an example of His unfailing grace. I will still make mistakes because of my sin nature but my desire is to be more like Him and less like me. Debbie and I were talking today and we came to the realization that so much of what we want to change about ourselves can’t be done on our own. This doesn’t mean I can’t change but I want to stop trying to change myself and allow God to mold me and change me into His image. I have to be willing and open to the changes that need to happen and pray for the Holy Spirit to bring about those changes. None of us are above the law but Jesus is asking us to look beyond our behavior to the deeper issues of the heart. Jesus not only didn’t abolish the law, he raised the standard.